Shocking shanks, comical shots and embarrassing incidents all feature in the top golfing fails from the past 12 months. 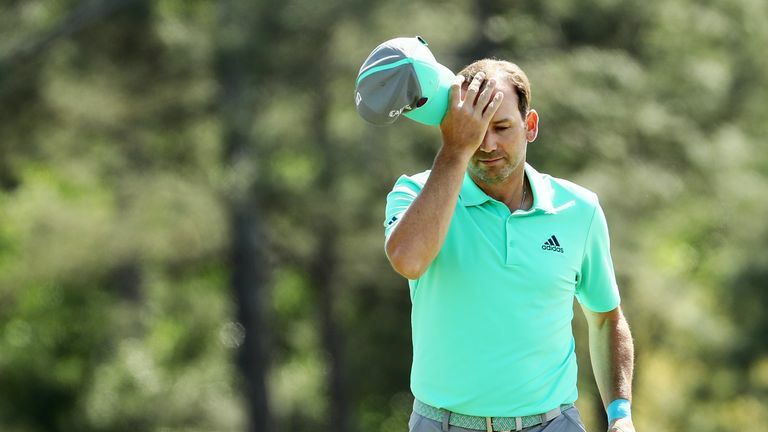 Sergio Garcia saw his Masters title defence ended early after finding the water five times on the same hole during the opening round, a day on from Tony Finau fracturing his ankle while celebrating a hole-in-one in the Par-3 contest. Garcia also features in one of the low points of Europe's Ryder Cup victory, where he and Alex Noren halved a hole in the Saturday foursomes against Webb Simpson and Bubba Watson with triple-bogeys. A shank into the stands was a memorable moment from Ian Poulter's week at the Phoenix Open, with Phil Mickelson also featuring in the list after his penalty controversy during the US Open at Shinnecock Hills. FedExCup champion Justin Rose also experienced an awkward moment during the Zurich Classic of New Orleans, where he elected to strip to his underwear to play a shot close to the hazard. What was the top golfing fail of 2018? Click on the video above to look back at some of the contenders!